Keep Calm and Fly Fish: The Feather River. Quality over quanitity? The number of steelhead that have returned to the hatchery this year is less than half of what it was last year in 2014. Here are the numbers from an article from the Fishsniffer website: 677 adults this year (2015) compared to 1472 adults last year (2014). On a good note though these fewer fish are bigger. Three fish that were captured and returned to the hatchery were over 17+ pounds. Amazing. There are always steelhead in the Feather River system but these bluebird bright sunny days are tough days to fish. It was pretty slow yesterday despite being on a good run that usually produces at sunrise. After not getting a single take I fished near the hatchery and saw a few other anglers hook up but it was also very slow for me. Disappointed, I and wanted to beat the 2015 steelhead skunk. The following day I was able to hook two fish and land a nice hen a little under 5 pounds. This steelie is probably my new personal best. She was pretty beat up with torn fins, fungus head, copepods on fins, and has probably made it back to spawn several times in her lifetime. She fought hard and the second before I was able to get her under the net the hook popped out of her mouth. Luckily she was tired enough to where she floated for a second and I was able to net her. 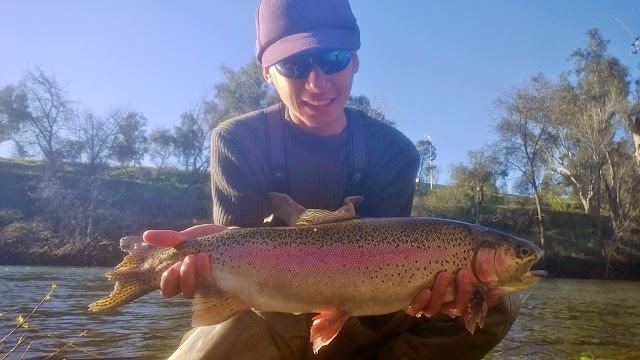 It was a awesome fish as my first steelhead for 2015. 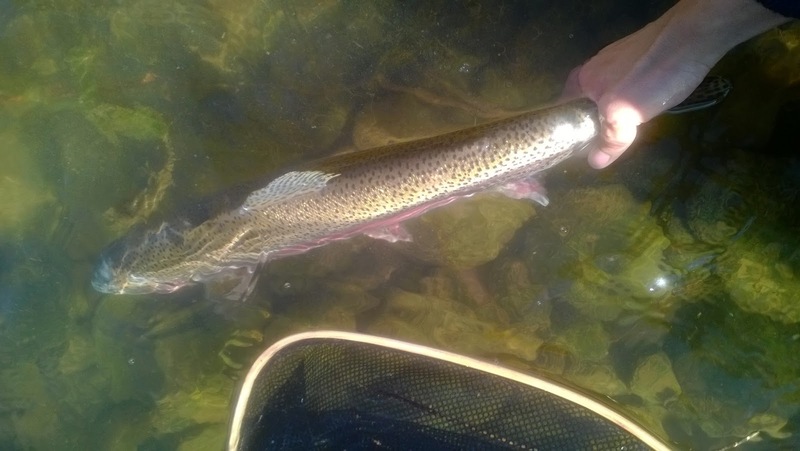 The spring-run aren't in town yet but after a few good storms they should start trickling in. Drought conditions are going to be hitting the lowest of the lows this year and it's not looking good. I've been reading that the American River is fishing really poorly with very few steelhead returning this year. On paper it looks bad although I haven't been out there so I can't really judge.